Can Newcastle make it four wins in a row? Or can West Ham win at St James Park for only the second time in the twenty-first century? As we reach December 1, the beginning of meteorological winter, we begin a run of eight matches in 33 days, that will possibly define the eventual outcome of our season. A look at the current league table reveals that, on paper at least, the forthcoming 720 minutes (plus time added on of course), will see us facing as easy a group of fixtures that we could hope for. 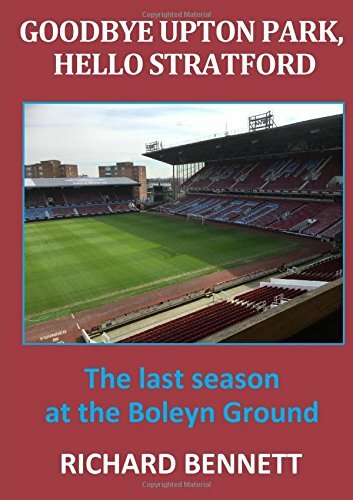 Now this is unpredictable West Ham we are talking about, so although they may look like very winnable fixtures, those of us who have followed the team throughout the years know that this may very well not be the case. Starting today (and following Cardiff’s victory over Wolves last night) we face (A) Newcastle (13th), (H) Cardiff (15th), (H) Palace (17th), (A) Fulham (20th), (H) Watford (9th), (A) Southampton (19th), (A) Burnley (18th), (H) Brighton (12th). At the moment we sit in 14th position on 12 points, so 24 points from these games will put us on 36 points, which will be above Manchester City if they lose their next 8 games. OK, so I know that anything like that is not remotely going to happen, (City could well be on 59 points at that time), but wouldn’t it be good to put together some back to back wins to propel us up the league table. When was the last time we won even two games in a row? Today’s opponents had only two points after nine games this season, but a 0-0 draw at Southampton, followed by consecutive wins against Watford, Bournemouth and Burnley has put them level on points with ourselves, but they sit just above us with a superior goal difference. They have only scored 11 goals this season to date (three fewer than us), but more than half of them have been headed goals, which in percentage terms is the highest of all Premier League teams. Their manager Rafael Benitez has won more top flight games against us than against any other team, and I suspect he may not be the only manager with that boast. Our recent record has not been the best with just one win in our last six games, and the results of our recent visits to St James Park have been even worse than that. Younger supporters will only be able to remember one win on their ground in this century, when Kevin Nolan (their former captain) scored the only goal of the game on Remembrance Day in 2012. That match was full of familiar faces with Andy Carroll (as well as Nolan) back facing his former club. Our manager that day, Sam Allardyce, was also back at the club who had sacked him the previous season, whereas the Geordies’ manager was Alan Pardew, an ex-West Ham manager of course. The last “convincing” win on their ground that I can recall is twenty years ago when Ian Wright netted a brace to add to Trevor Sinclair’s goal in a 3-0 victory. Apart from 2012 that is probably the last time that we won there. The Hammers’ side that day boasted five players who won 233 international caps for England between them. In addition to Wright and Sinclair we had Rio, and Frank Lampard (junior), as well as another player who surprisingly to many, played a game for the full England team, Neil (Razor) Ruddock. What do the bookmakers make of the fixture today? Their odds roughly reflect the fact that if this game was to be played 100 times, then Newcastle would win 40, we would win 33, and 27 would be drawn. In other words they believe it is a close call for all three possible results, despite the fact that the Magpies are on a good run and we are not, as well as our poor record when visiting the North-East. Apparently, Carroll and Wilshere may both be fit to return from injury, and Snodgrass has served his suspension. How many of those will be in the starting eleven? Trying to predict the team and how West Ham will fare in a game of football is not an easy task, but I believe that just one goal will settle this match. Perhaps Carroll will score the only goal to reprise what Nolan did six years ago? The odds on that happening are surprisingly low at around 22/1. Perhaps Issa Diop will score the only goal of the game? That is priced at around 200/1. A 1-0 West Ham win is about 7/1, and you can get 2/1 on West Ham winning the game by any score. Will this be the first game of an eight match winning run? I suspect you could get very long odds on that happening!